This is a public service announcement of sorts. We’re five days away from The Big Day, and time’s running out to nab that special gift for that special someone. Of course, you all just wish that Mixtape #1 was in your hands already, but you’ll have to wait for that (though its February launch makes it the ideal Valentine’s Day gift – Hint Hint). But there are several items I can recommend to anyone looking for that music or comics fan in your life. 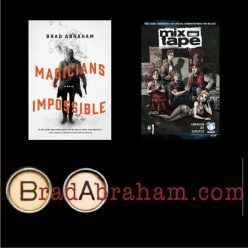 These are the books, DVDs and otherwise that were an inspiration, a research aid and just plain instrumental in getting Mixtape off the ground. The genesis of Mixtape came when I was packing my things to move to the USA. This involved sorting through boxes that hadn’t been opened in a good number of years – since High School in some cases. Among the many things I uncovered were many comic books, and many mixtapes. And so, rather than packing things, I spent my time listening to these tapes, and reading comic books, and saying to myself “self, there’s a story in this somewhere”. By the time I moved to New York, the idea was already simmering – I knew I wanted to write something about music, and how important it is to a teenager. I also wanted it set in the 90s. I didn’t have a format – a movie like Dazed and Confused? 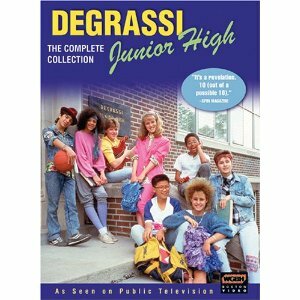 A TV series like The Wonder Years? 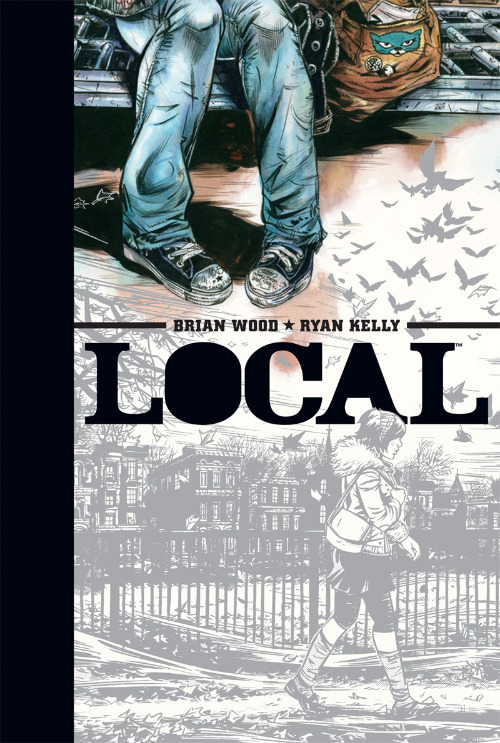 I was stuck – until I was browsing the racks at Midtown Comics and saw a hardcover collected edition of a series called Local by Brian Wood and Ryan Kelly. Local follows Megan McKeenan, a young adult, over the span of a dozen years, as she moves from city to city, ranging from Portland Oregon to Chicago Illinois, to Halifax Nova Scotia. I’m a fan of Brian’s from his amazing DMZ and Northlanders series, and naturally scooped up Local, and by the time I finished reading it, I knew what that “90s era rock and roll story” was going to be. Local is amazing and every time I get stuck on scripting Mixtape, I crack it open for a good dose of inspiration. By the time I finish just one story, luxuriate in Ryan Kelly’s beautiful artwork and Wood’s often haunting prose, it forces me to do better. Here’s one little-known fact about Mixtape. In fact I don’t think I shared it wuith anybody before, so consider this my Christmas gift to you. An early, early version of the story was manifest in what was ging to be a YA novel I was outlining in April of 2007. The title was ‘Daydream Nation” cribbed from the Sonic Youth album. It was going to be the story of Brian Squares, a 40-something office worker who connects with an old High School friend — now a physisist who works for a hi-tech think-tank. And over drinks, Brian laments that his life didn’t turn out how he thought. That his dreams crumbled because of his failure to pursue them. How he’d give anything for just a taste of 1990 again. You see, it turns out that buddy has found a way to travel back in time, to experience a period of your life – basically by inhabiting your body at an earlier point, and experiencing it again (think Quantum Leap, only you’re leaping into a previous period of your life). Naturally, Brian takes the plunge, and is back in the halls of his High School, jamming with his garage band, and dating his High School flame. Of course, he becomes addicted to these leaps, and when he finds out that, despite all of his scientist pal’s claims, that he can alter the outcome of events, sets out to make things “right” (including stopping the murder of a classmate). 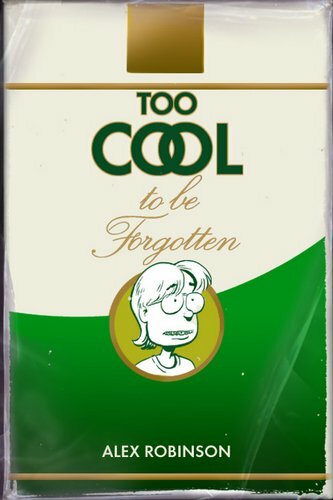 I must have outlined a good thirty pages of the book (all of which are copyrighted, so if you’re thinking of stealing this idea, please do; I could use the money), but it never progressed beyond that stage, because Alex Robinson wrote and illustrated a GN called Too Cool To Be Forgotten. TCTBF is about a middle aged man who undergoes hypnosis to try and quit smoking, and wakes up back in 1985. He re-experiences High School – the good and the bad of it – and the real reason he’s travelled back to this era is as unexpected to him as it is to us. TCTBF is so fricking GOOD that it put Daydream Nation on the backburner, and over time I came to realize I wanted to tell this story about the 90s without the Sci-Fi aspect. So while Daydream Nation faded away (or at least was placed in the “future projects” drawer), Mixtape is what resulted. But TCTBF is a must read, and I’m glad I did just that. Also be sure to check out Alex’s epic “Box Office Poison”, a massive, multi-character tale about life in the frightening post-collegiate era – an era that, with a little luck, we’ll see the characters in Mixtape experience. So with this blog post , my Christmas holiday can begin. Happy Holidays and I’ll see you in 2012, when the build up to Mixtape will begin in force.